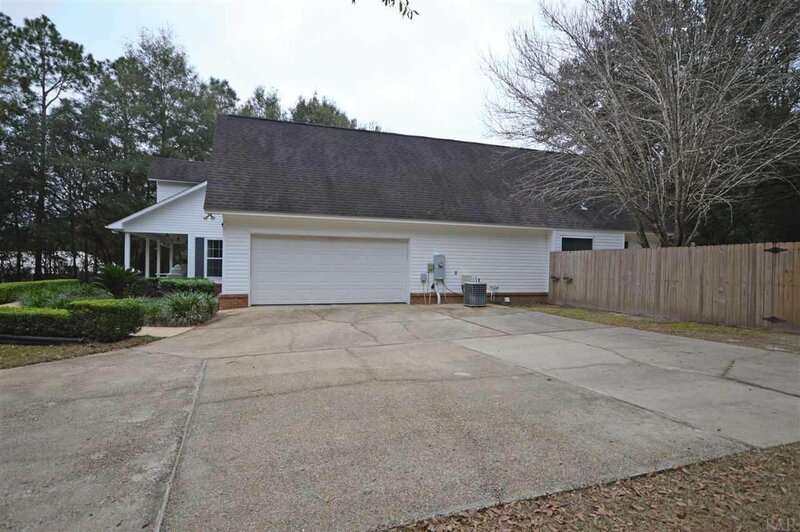 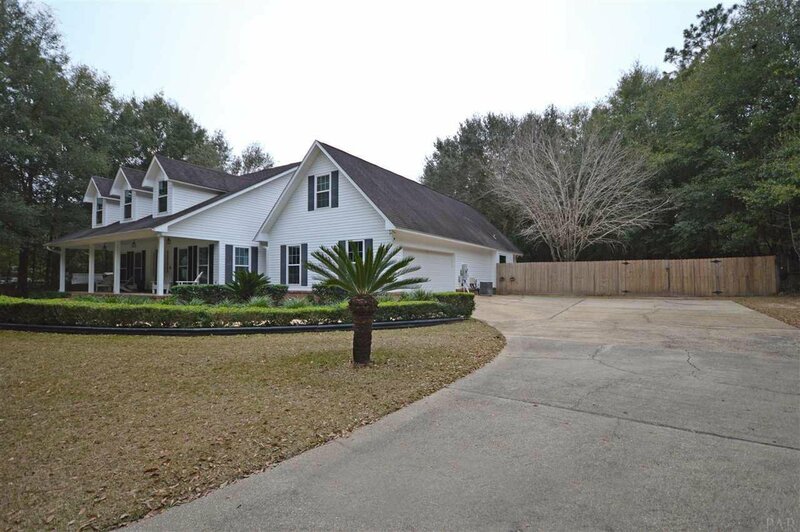 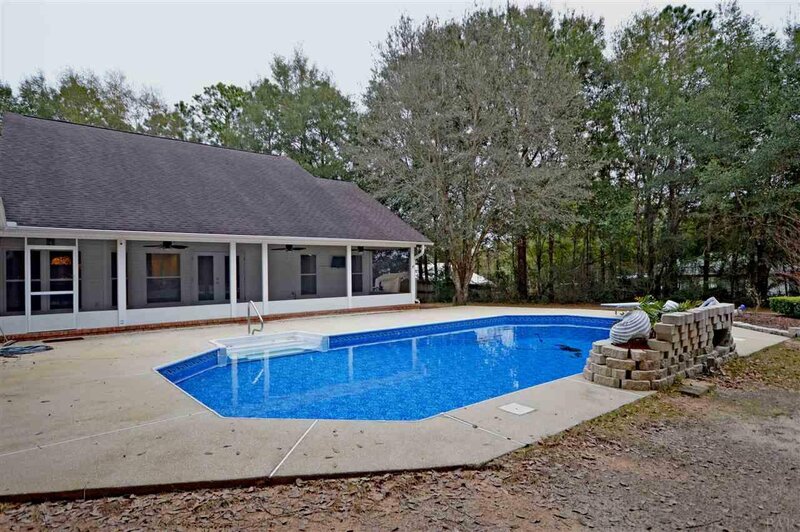 POOL HOME IN WHISPERING WOODS ~ ALMOST 2 ACRES ~ PRIVATE LOT ~ CUL DE SAC LOCATION ~ PACE SCHOOLS ~ This is the one you’ve been waiting for! 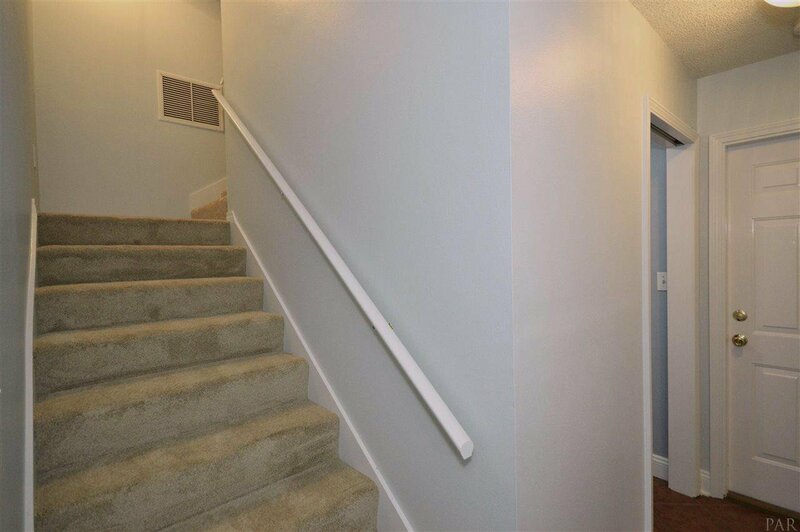 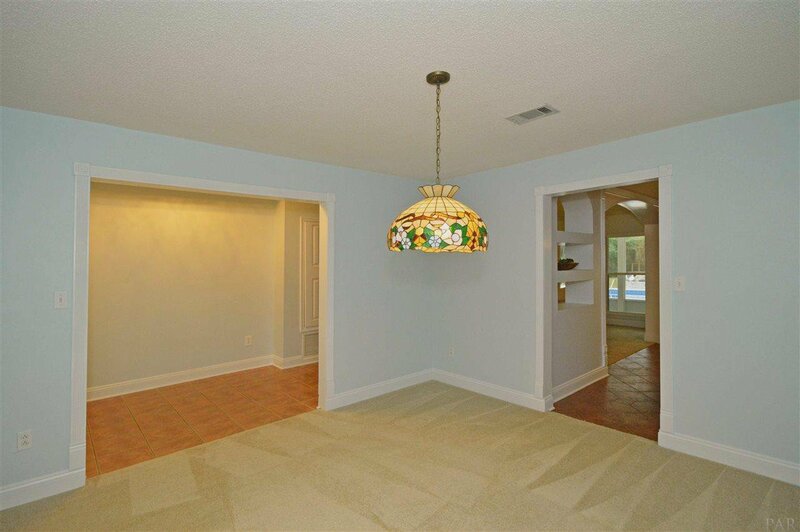 Newly painted, MOVE-IN READY home is full of updates plus a POOL! 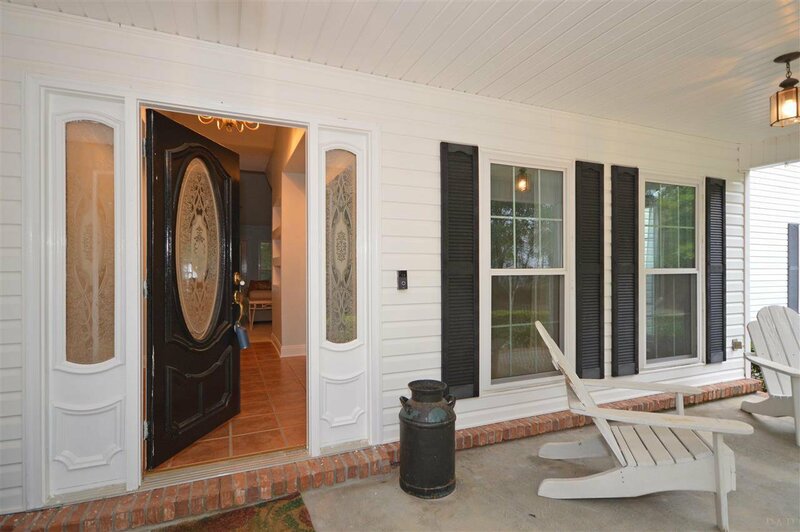 Home has beautiful and spacious covered front porch – all to welcome you to a 2 story foyer that opens to the dining room on your right and family room straight ahead. 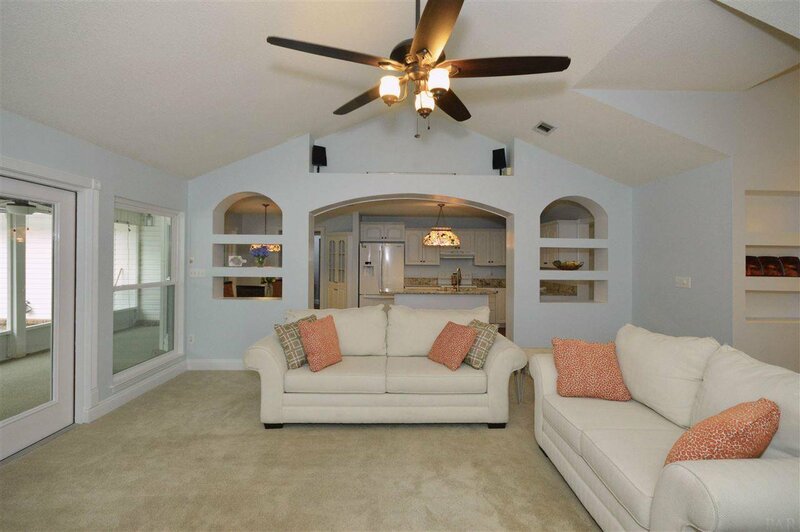 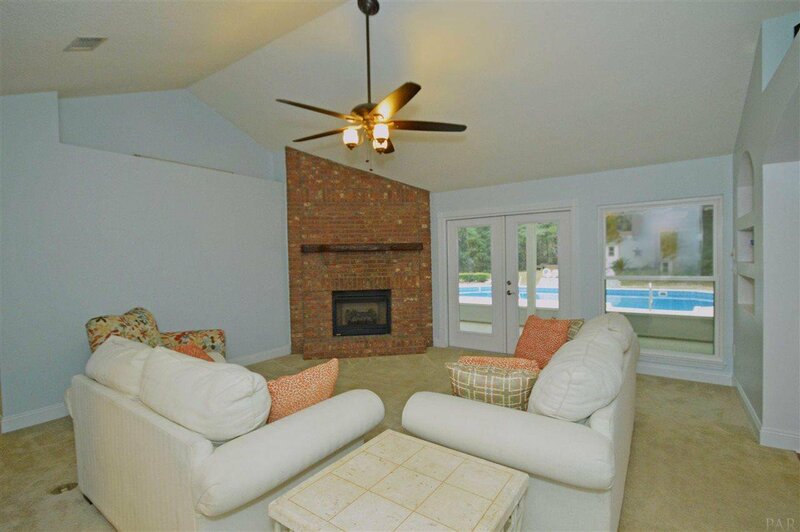 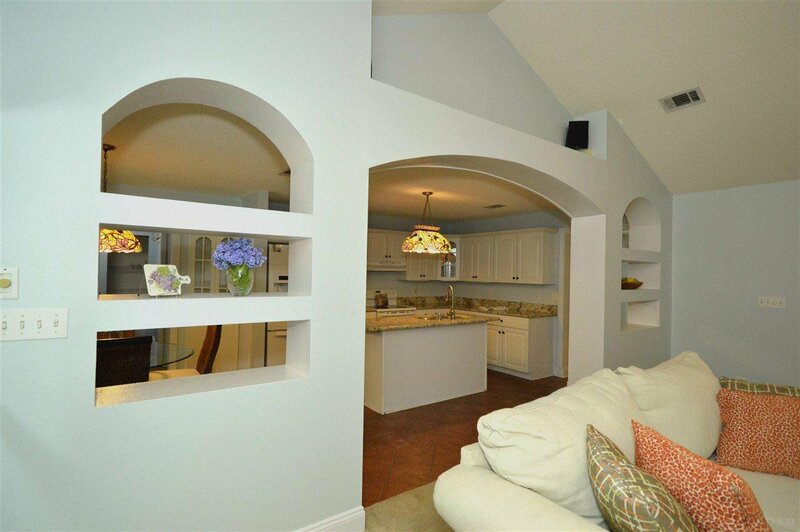 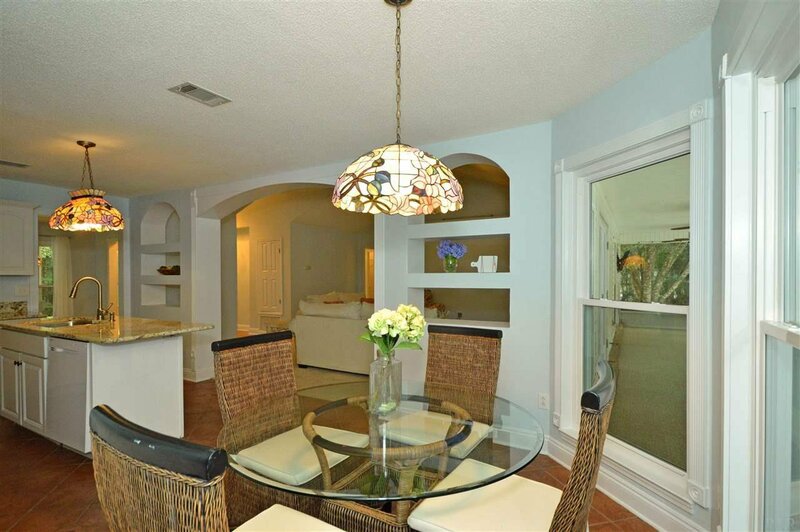 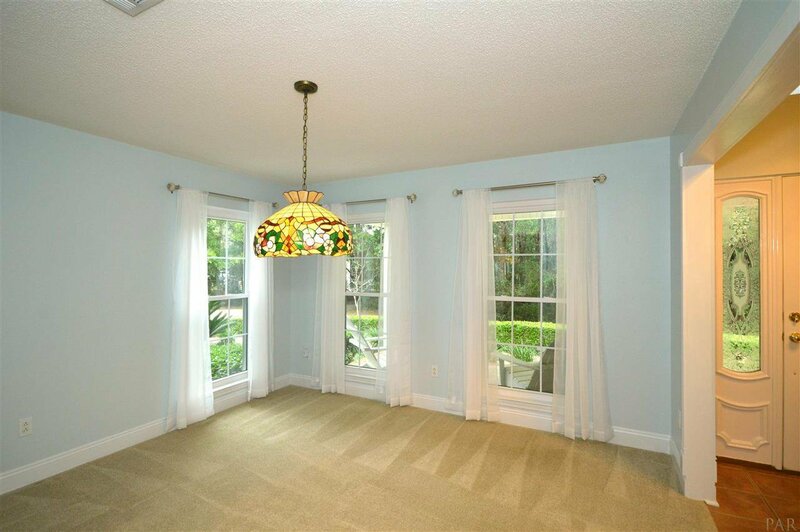 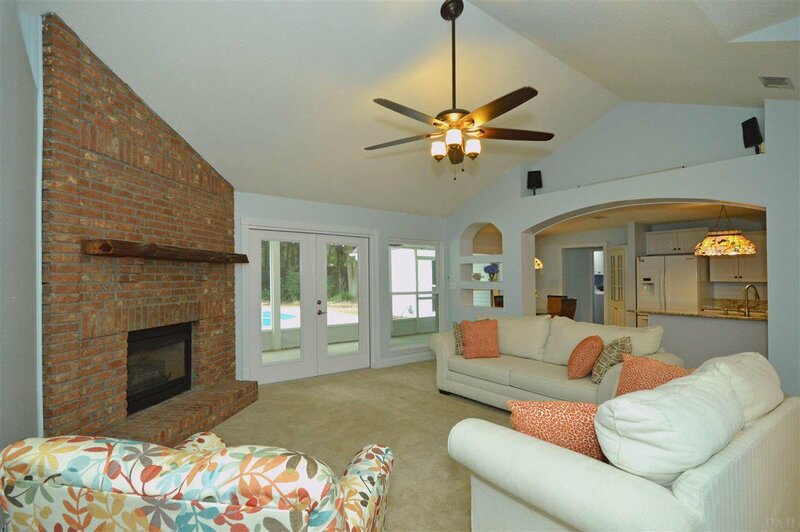 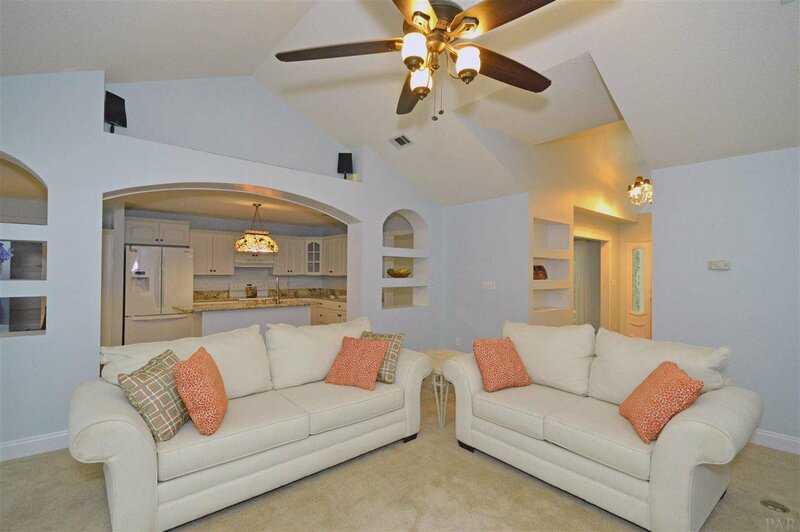 Family room is open to the kitchen and has fireplace and French doors leading to the screened porch. 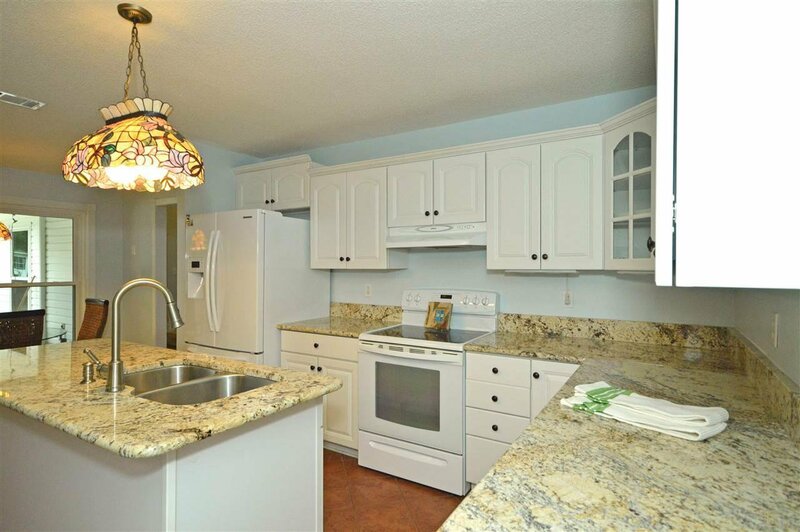 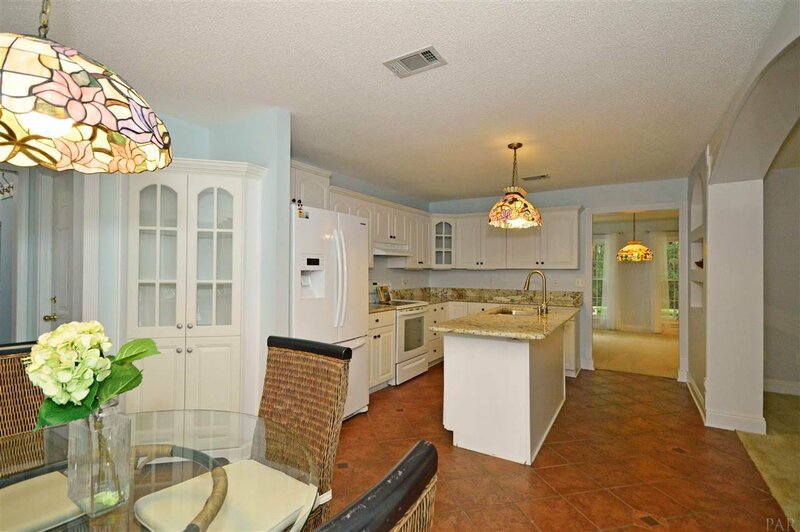 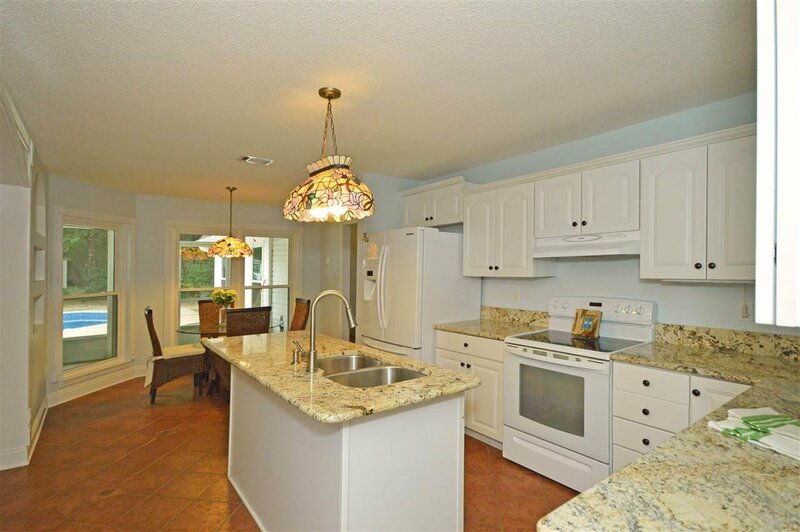 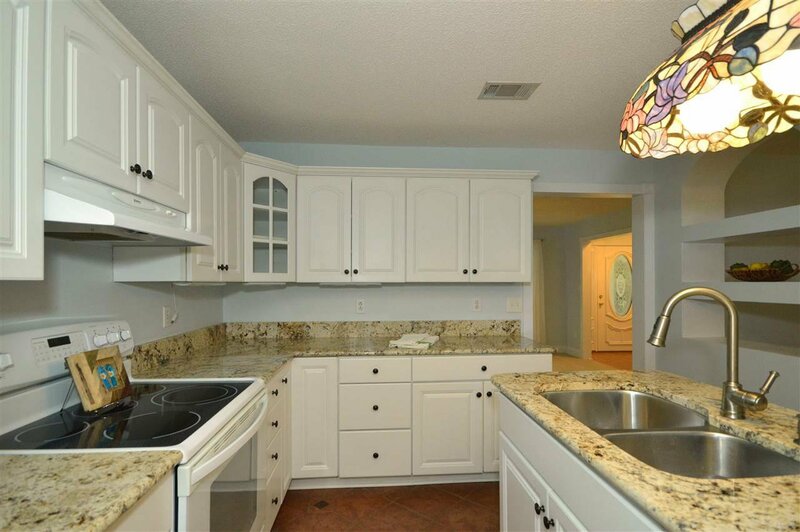 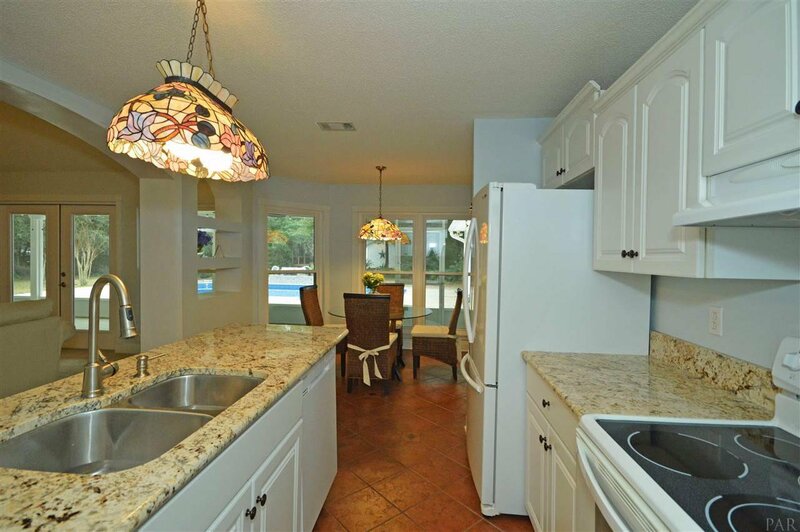 Kitchen has granite countertops, island with pendant light, tile floors, refrigerator, and eat in area overlooking the screened porch and pool/backyard. 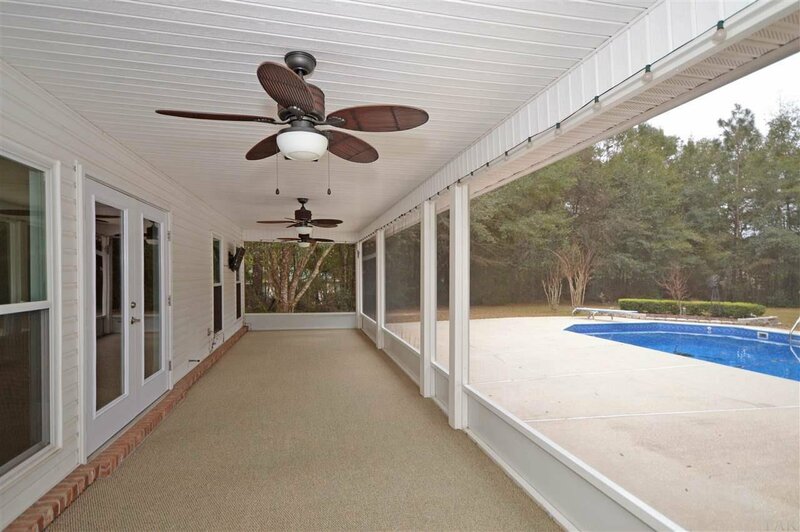 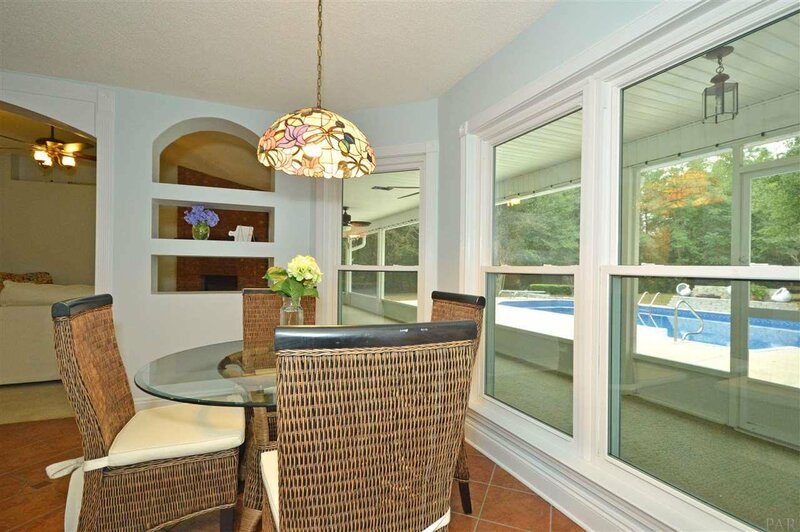 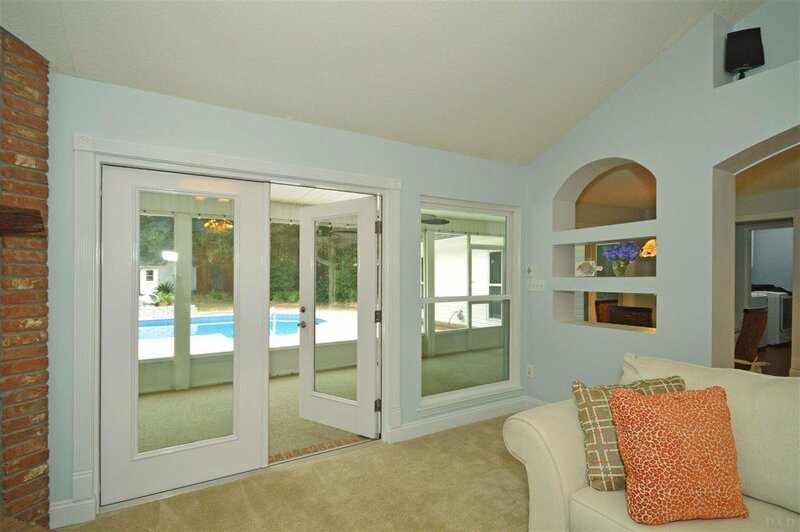 Screened porch is accessed from 2 different locations - the family room and hallway off dining nook. 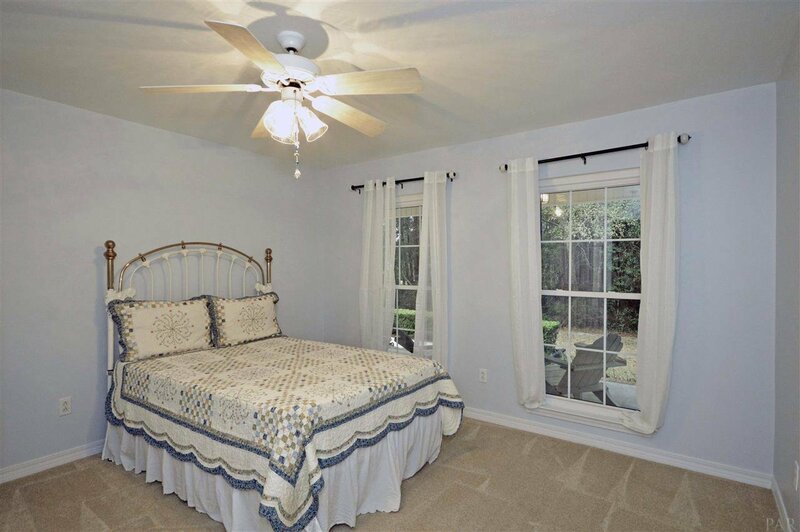 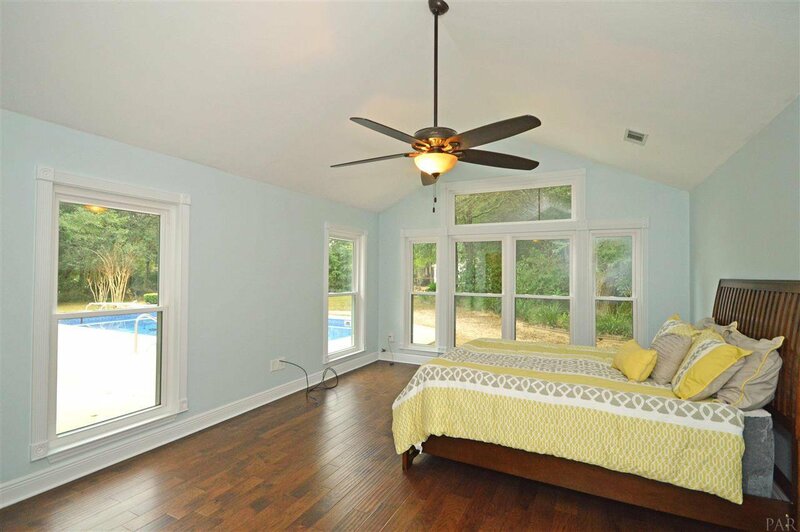 You’ll love the master bedroom – it is amazing! 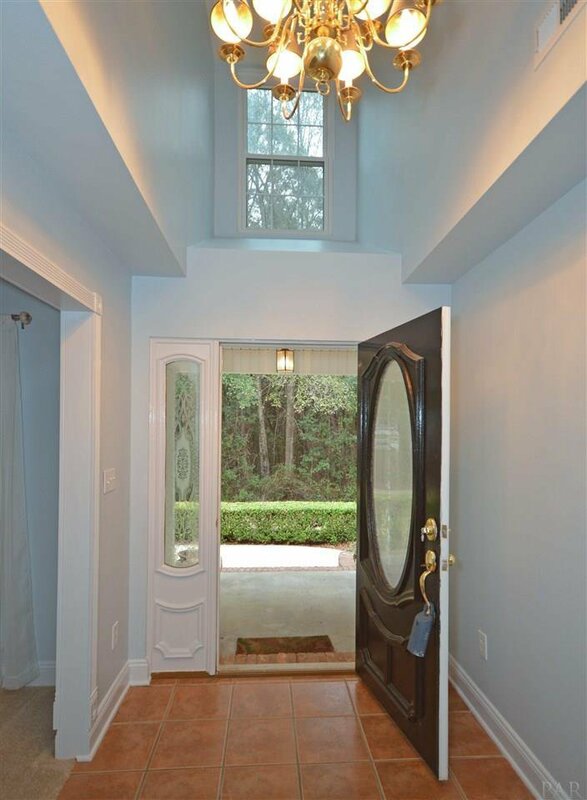 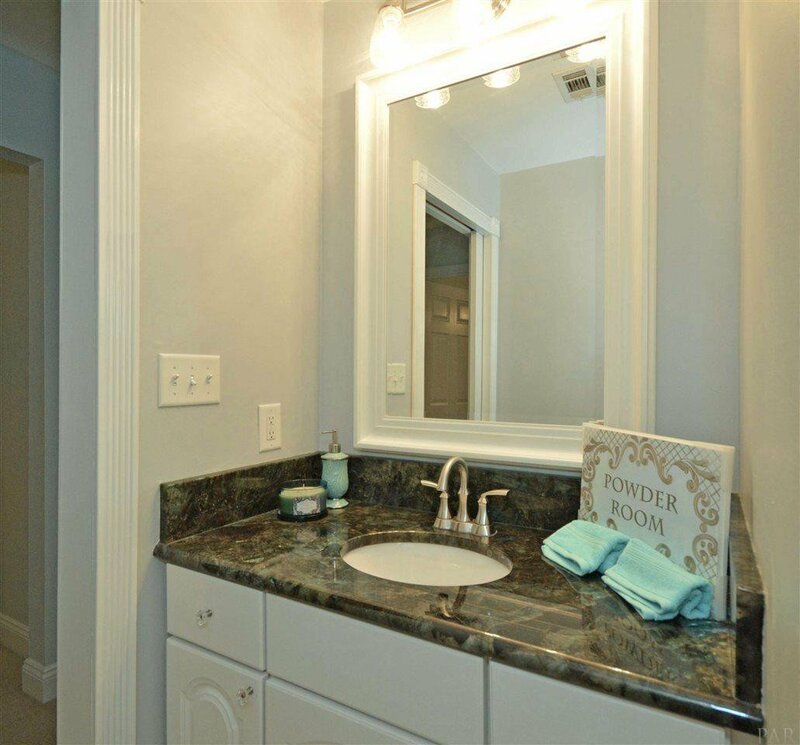 Wall of windows brings the outside in ~ gorgeous views and the en suite bath has tile floors, double vanities, granite countertops with under mount sinks, garden tub, 2 walk in closets, make-up area, linen closet and more! 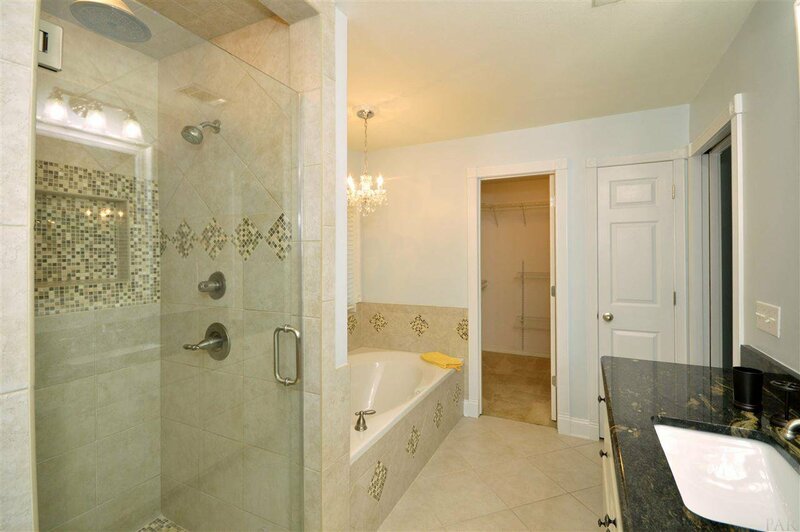 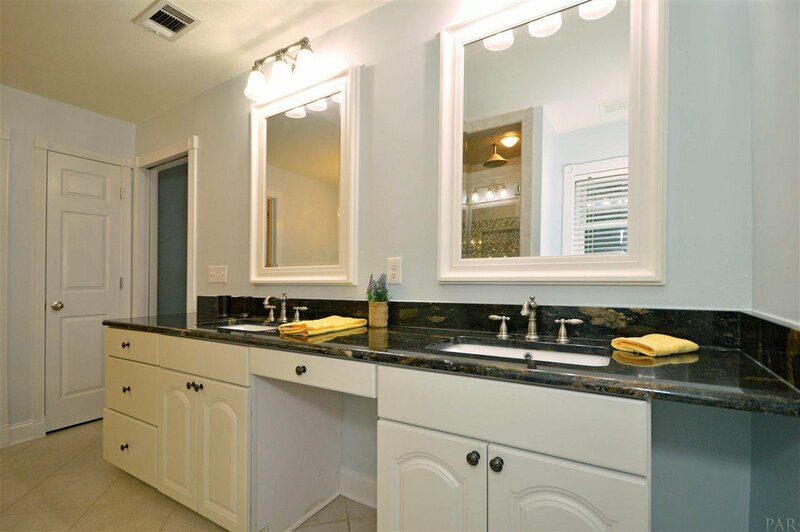 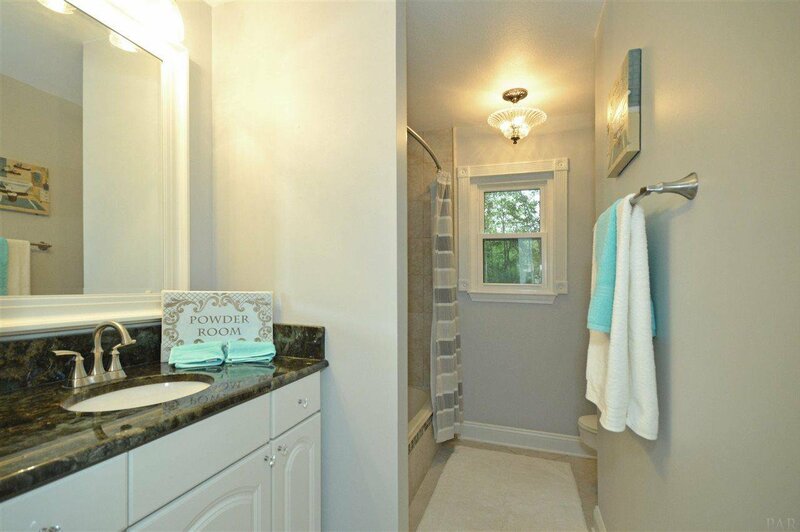 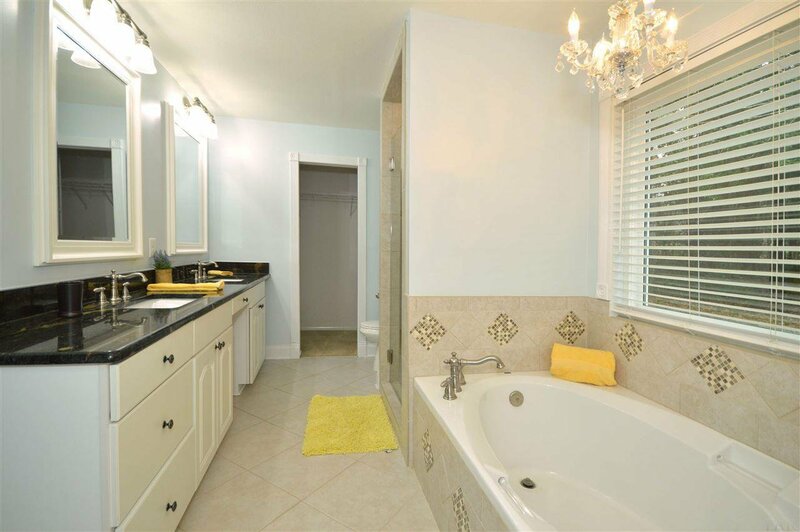 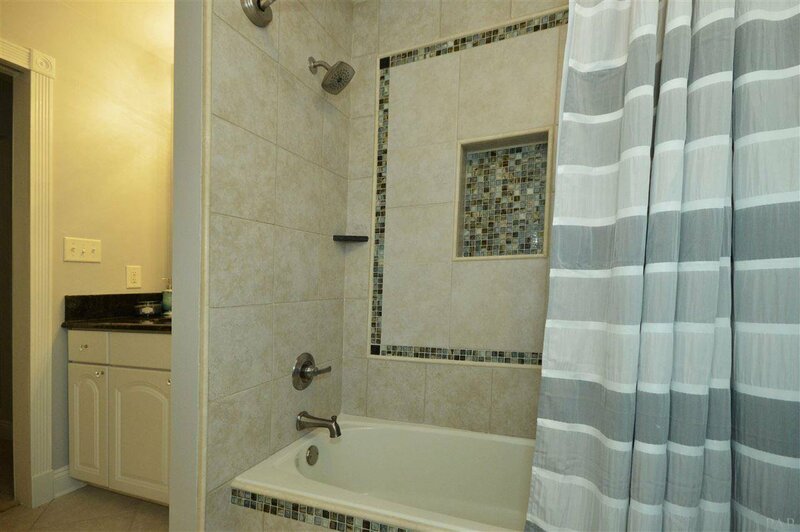 An additional 2 bedrooms are split from the master and share a hall bathroom with granite countertops, under mount sinks, tub/shower combo with tile surround. 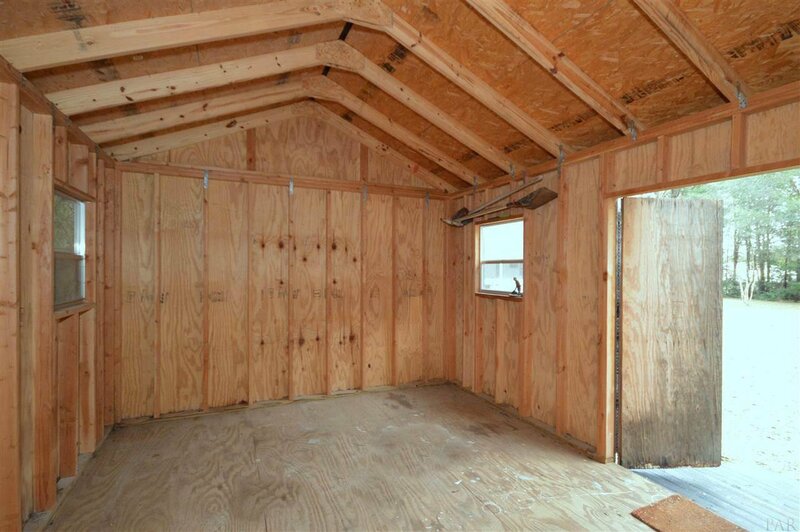 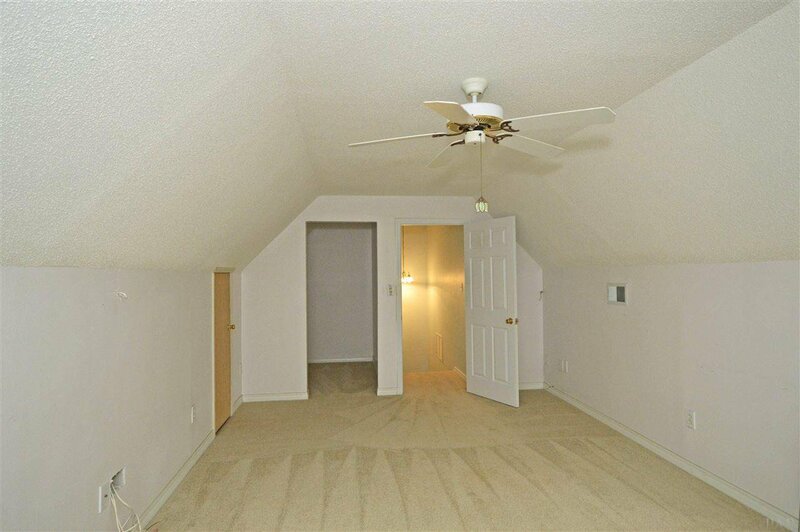 The 4th bedroom / bonus room is upstairs and has a storage closet and attic access. 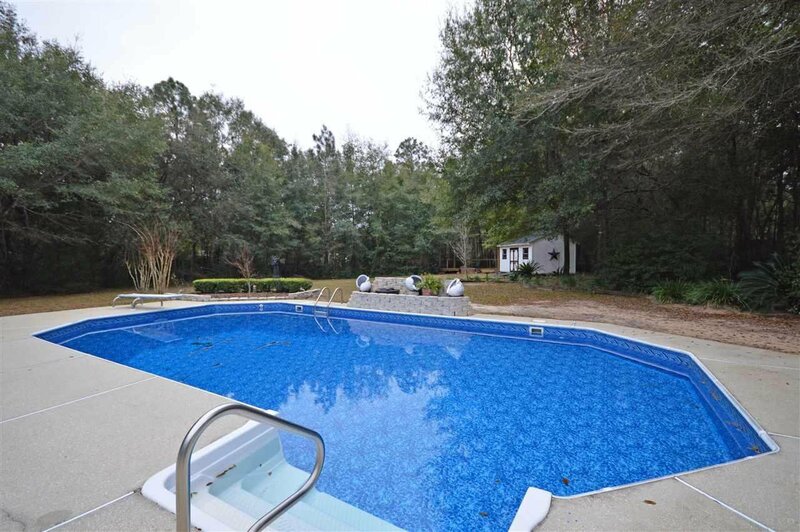 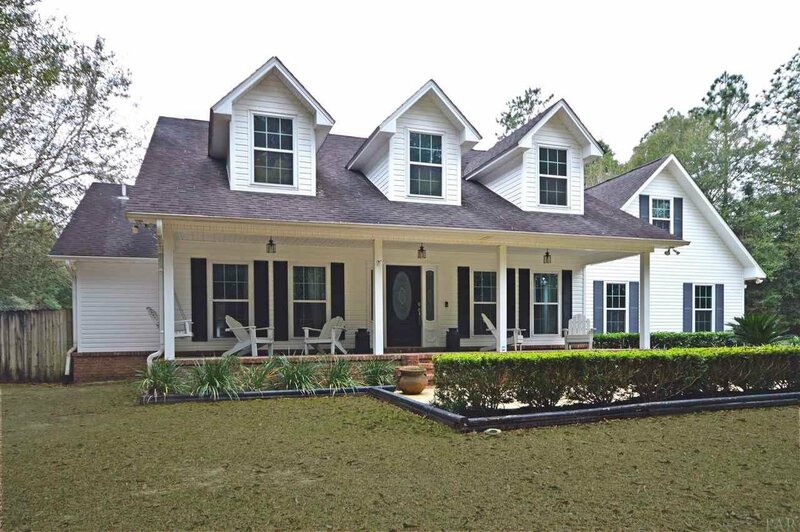 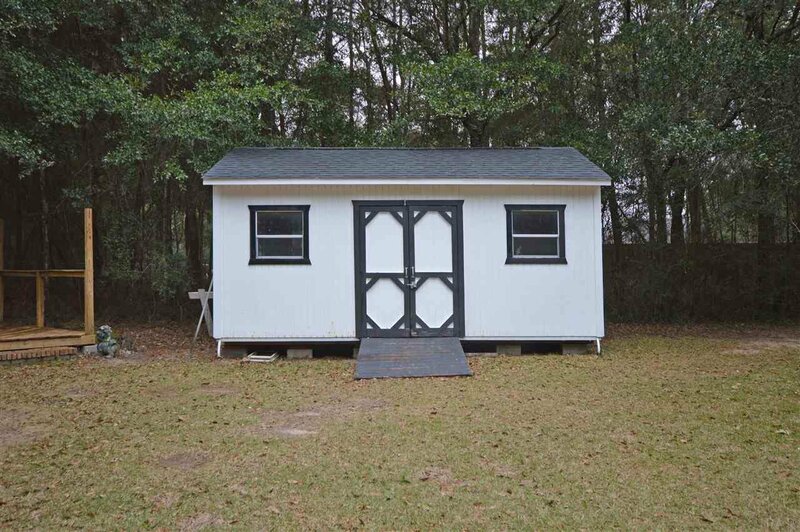 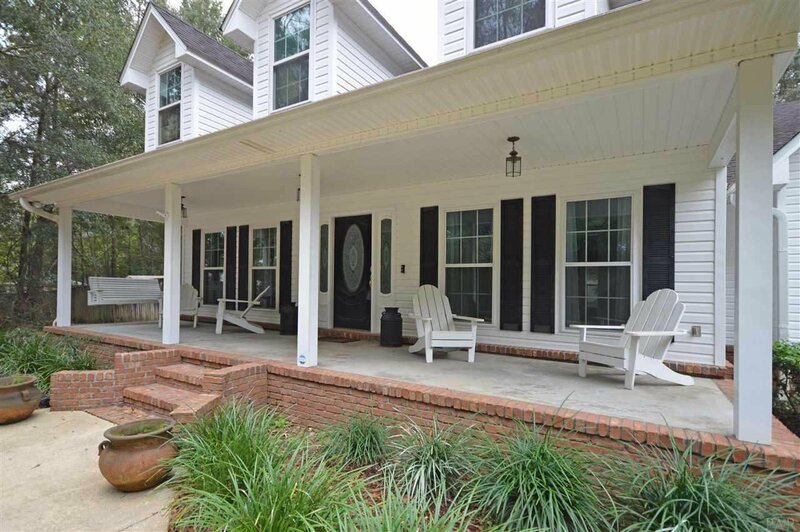 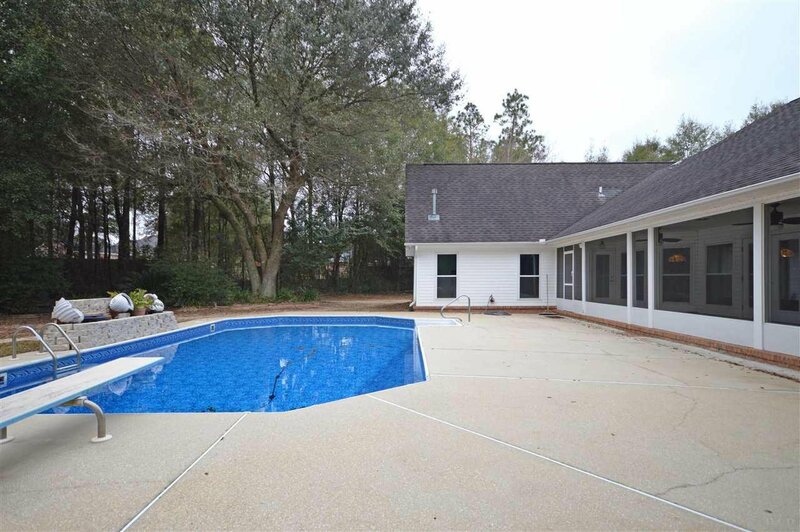 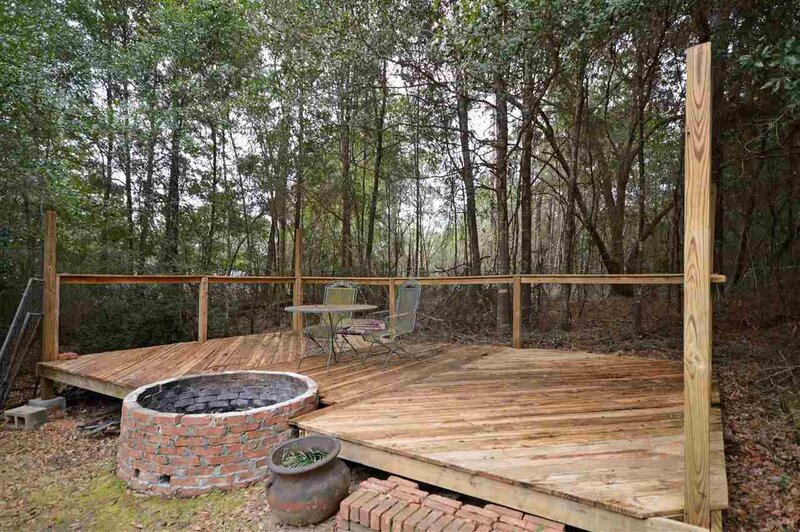 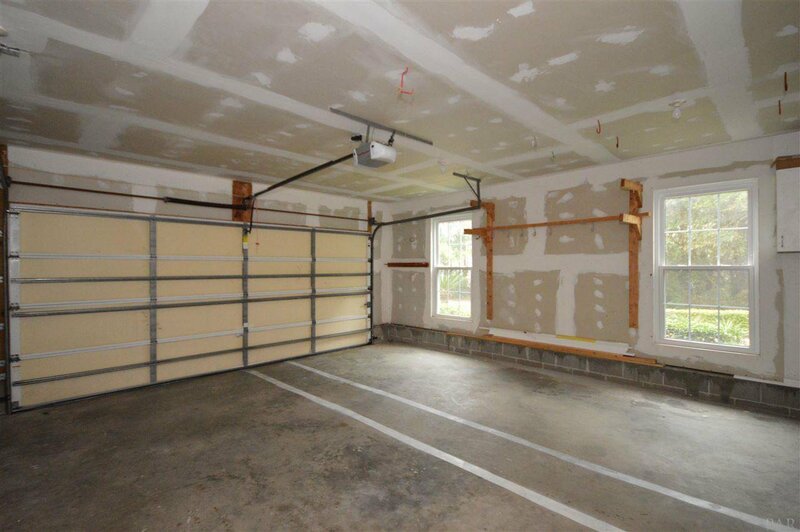 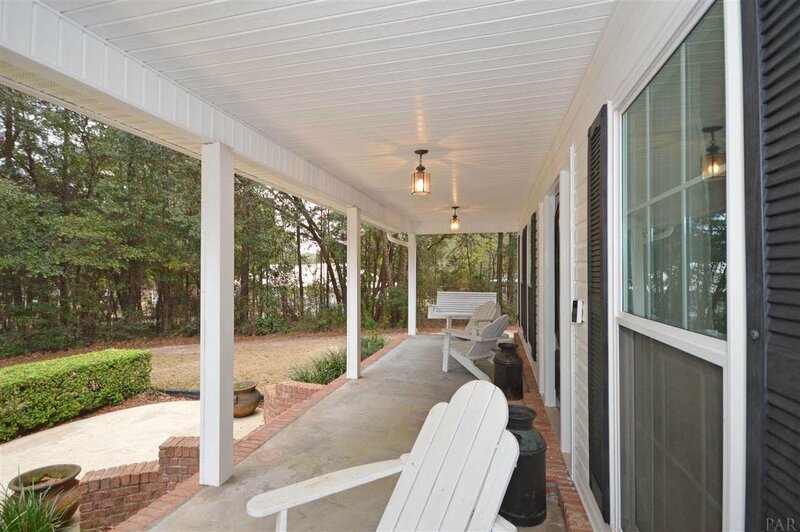 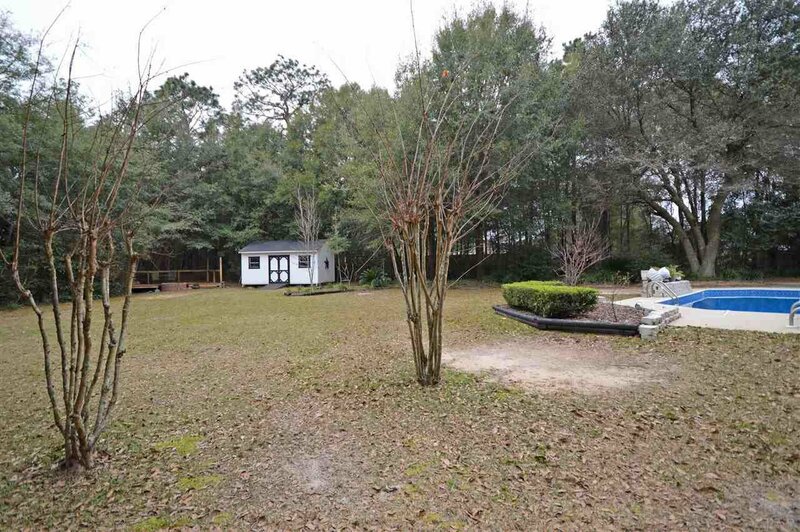 The backyard is where you'll love to sit on the screened porch overlooking your IN-GROUND POOL with newer liner. 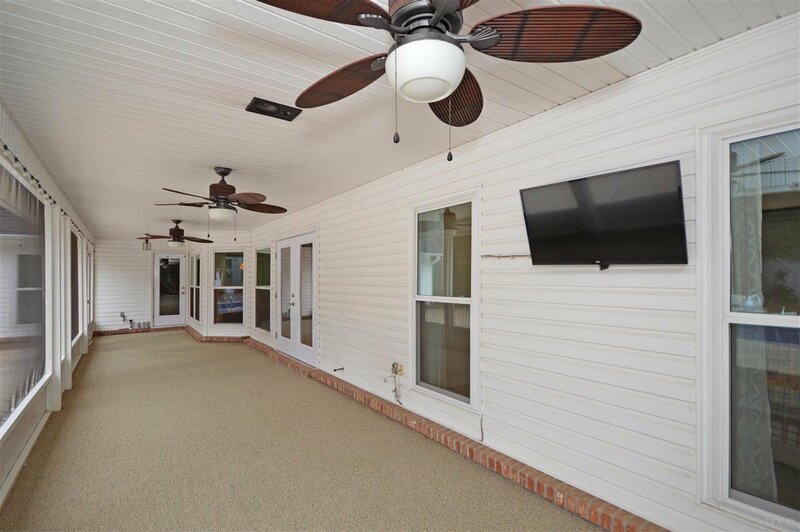 Porch has 3 ceiling fans, and TV. 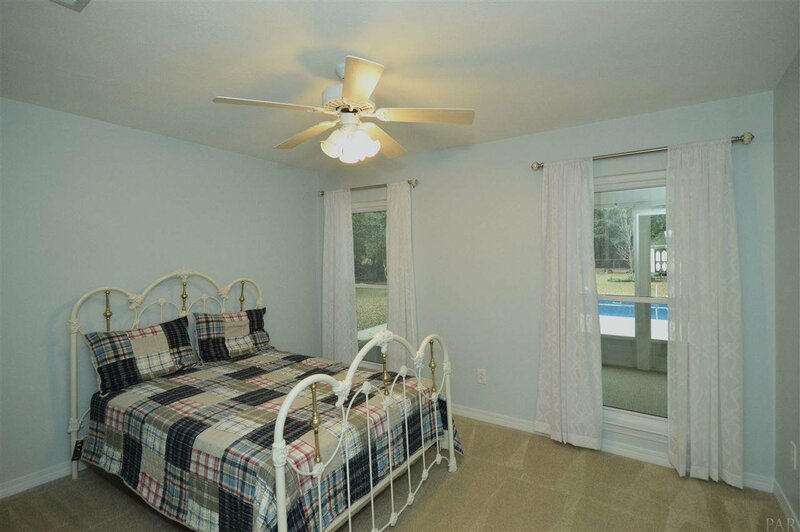 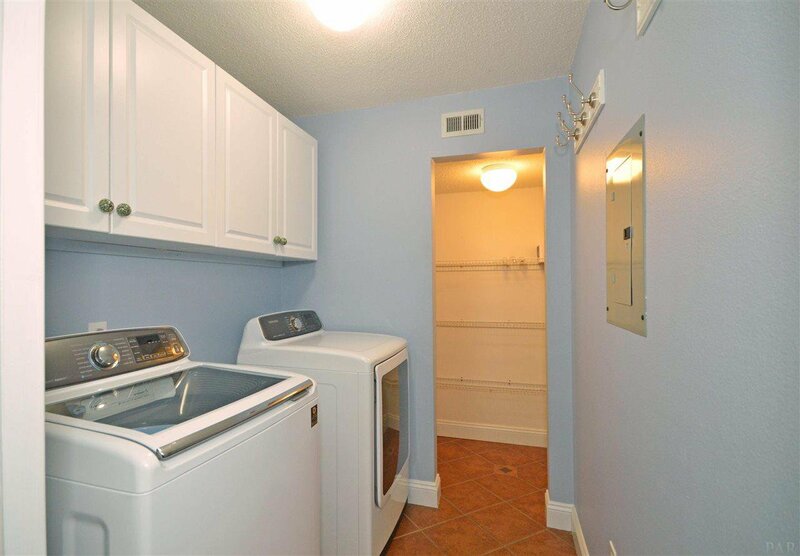 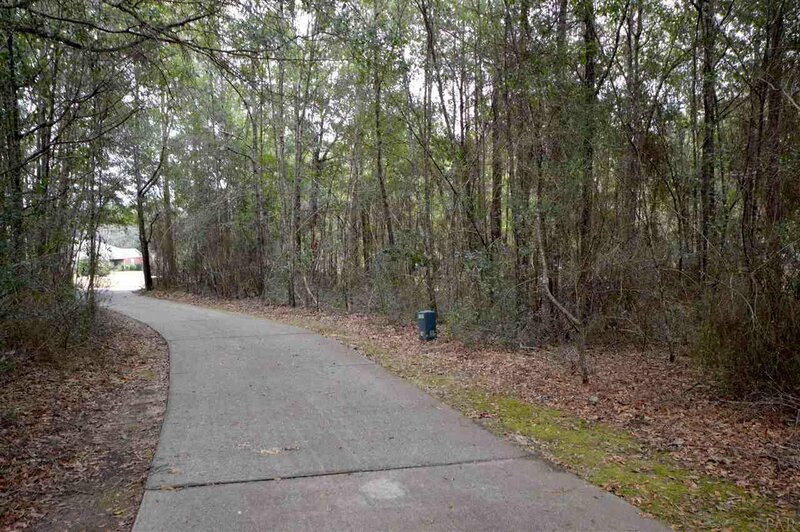 Other amenities include fenced backyard, sprinkler system, 2 car garage plus extra storage area with built in cabinetry, storage shed (conveys as-is), deck area, security system, gutters, and INSIDE LAUNDRY ROOM with washer and dryer that convey. 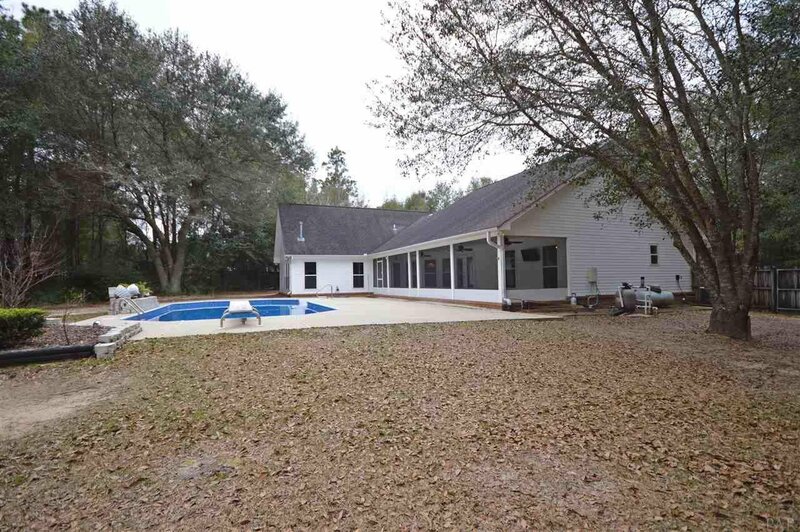 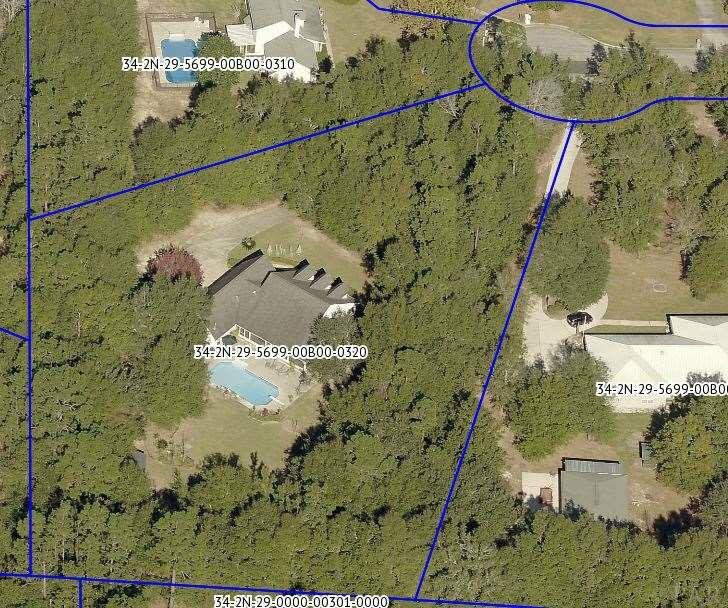 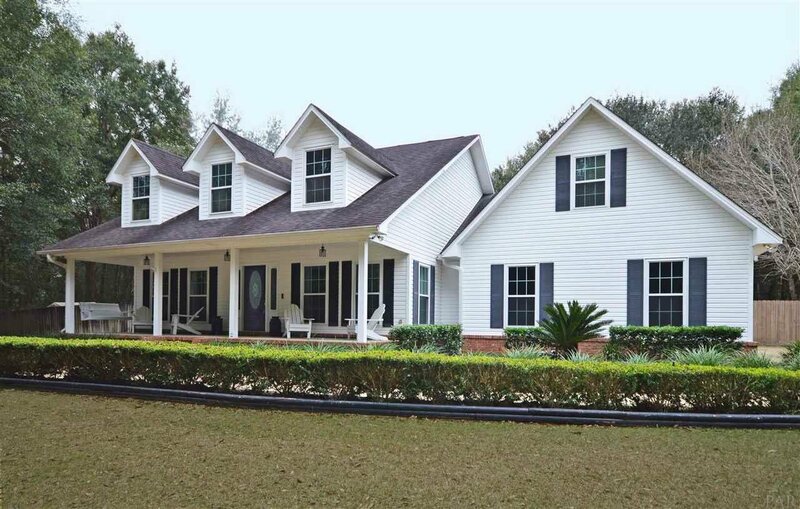 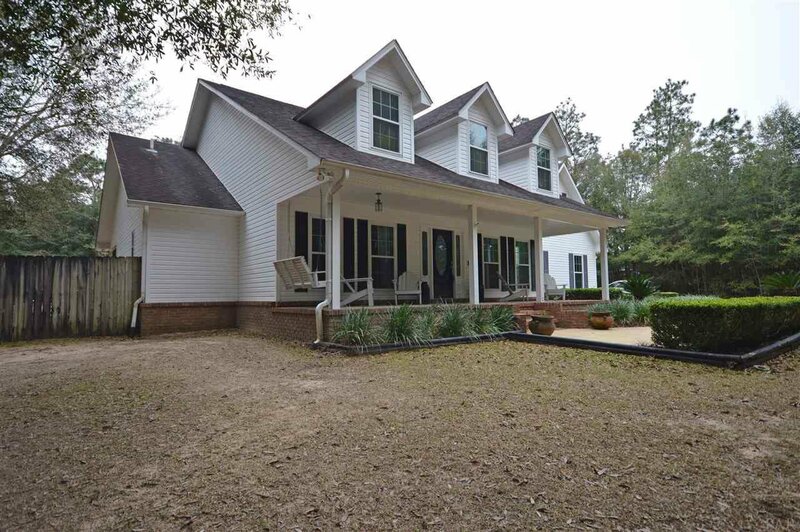 Don’t miss this Pace School district home with acreage! 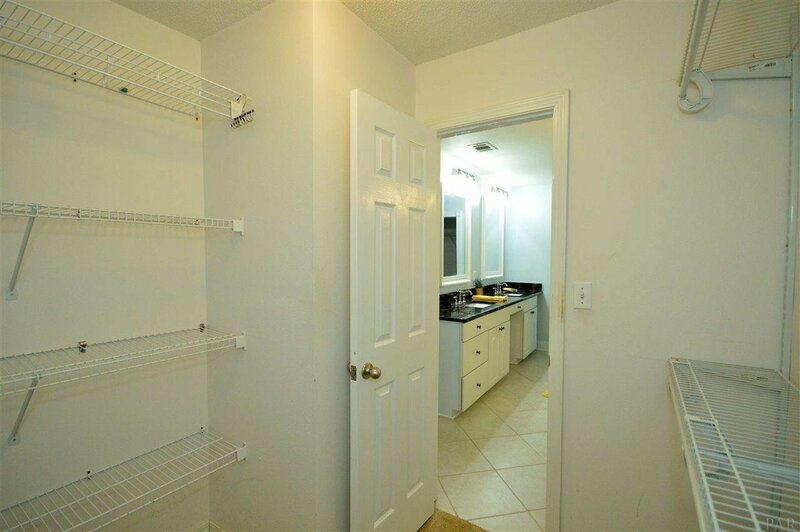 Call now for your tour and get your offer in!